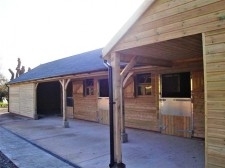 Custom timber buildings manufactured and supplied throughout Herefordshire and surrounding areas also a nation service offered. Timberworld Products We manufacture and supply quality custom timber buildings, garden sheds, summerhouses, gazebos, garages,carports , workshops, mobile shelters and stables at affordable prices across Herefordshire, Worcestershire, Shropshire and surrounding areas we also supply nationally.We are now retailing timber, onduline roofing sheets and quality iron mongery at competitive prices. We use the finest Scandinavian redwood from managed forests. 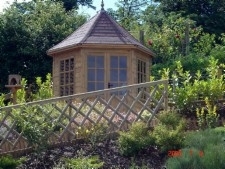 All of our timber is pressure impregnated, providing protection for a minimum of 15 years. Untreated timber is available on request. 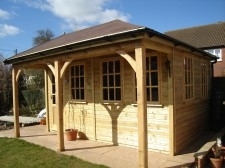 All of our custom timber buildings and products are of the highest quality and are made to order. We specialise in bespoke buildings and are able to adapt them to suit our customers’ individual needs. We offer an on site service where we visit our customers and plan for their personal requirements and aspirations. This is free within Herefordshire, a nominal fee is charged for other areas. A full construction service is available for all of our products. "Our products are pressure treated, but our customers are not."